Category Archives for "How to; Tip/trick; Guides"
It is essential to know the right way how to use hand vacuum for car. Dirty interior makes your car looks weird. Some people may already have the hand vacuum for car. However, only a few of them who know the right way to use it. Especially, when it comes to clean up the specific dirt in a specific area. Cleaning up car’s interior properly will not only produce healthier environment but also prevent the dust and pollen. 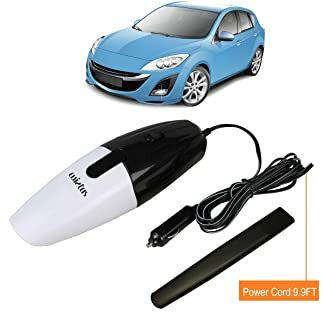 In this article, you are going to learn the proper technique to clean up car’s interior using 20-Volt Black&Decker Vacuum Cleaner (it is the best car vacuum cleaner). These will cover step by step guide from preparation until the proper process of cleaning. Vacuum cleaner mostly showed up in your home for cleaning the dirty carpet or floor. It usually has large nozzle to cover large area for optimized floor cleaning. As a result, cleaning something wide like floors, carpets, and other plain surface will be quicker. However, This theory doesn’t apply for the car’s interior.